Heaven for any whisky or gin aficionado: one of the widest ranges of fine scotch malts, malt blended whiskies and gins from every whisky and gin-producing region in Scotland can be found here: from the most northerly distillery, Highland Park in the Orkney Islands to the most southerly distillery, Bladnoch and Annandale Distillery in our own region of Dumfries & Galloway. 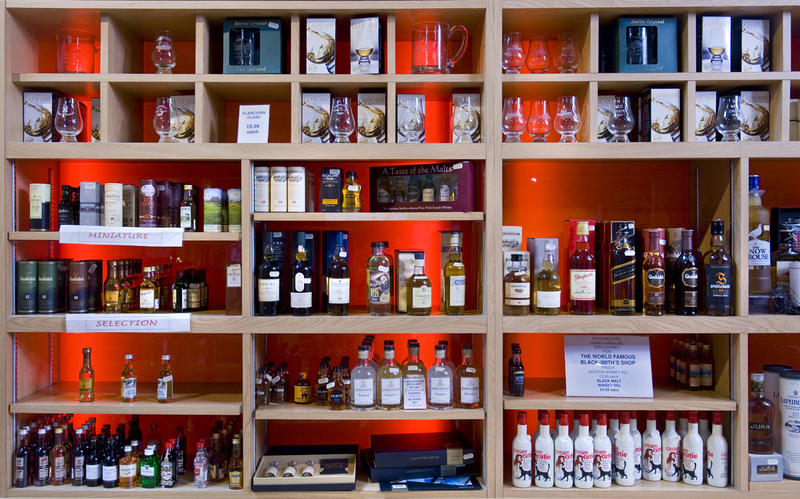 In the custom-built Whisky House; you are always welcome to taste a sample from the wide range of whisky liqueurs, - which complement the single malt and blended whiskies perfectly - and our wide range of Scottish gins. There is also interesting footage to view, giving you plenty of insight into whisky production. This cosy, traditional shop is also where you can buy gifts to remind you of your visit: there are Anvil souvenirs in many sizes and forms and other memorabilia personal to the history of Gretna Green, including famous etchings capturing the drama of a runaway romance, Gretna Green Famous Blacksmiths Shop own-brand foods and much more. In addition to the traditional souvenirs, there is a unique display of unusual and elegant gifts, including glassware, jewellery and decorations. 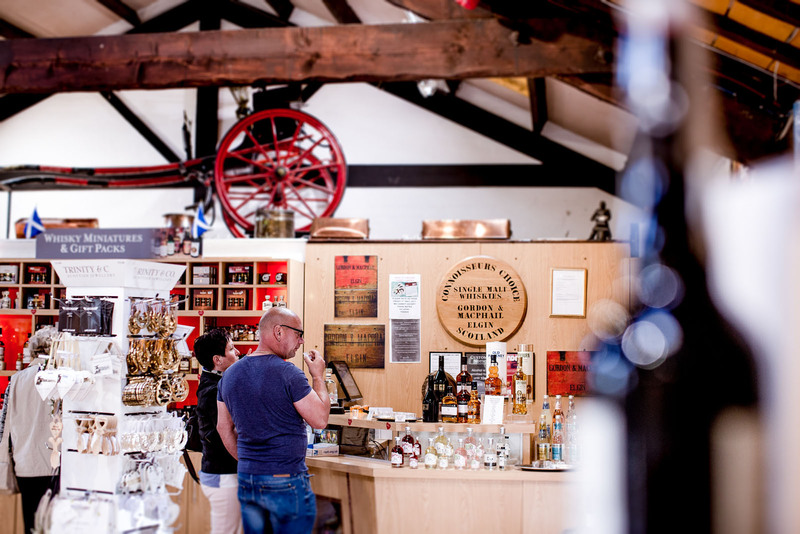 "Lovely shop and the people in the stores were very friendly I even managed to replace my wedding ring there"
And why not experience our whisky tasting sessions and enjoy a blend of malted and rare whiskies or gins. 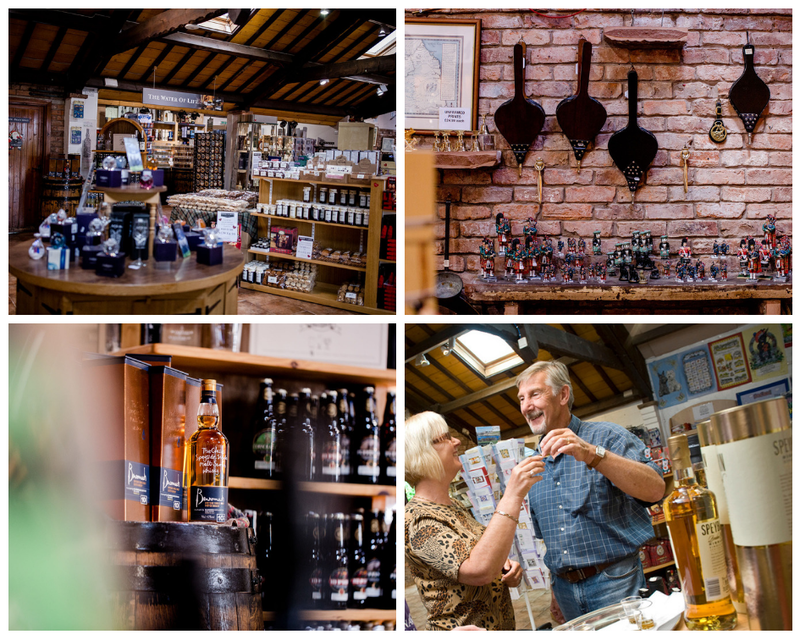 Or why not discover our new range of Experience day packages, including tastings, dining, discounts and a selection of whiskies or gins to take home too!